The FR-301 Desoldering Tool has everything you love about the FR-300, but with an improved temperature recovery time for greater efficiency. 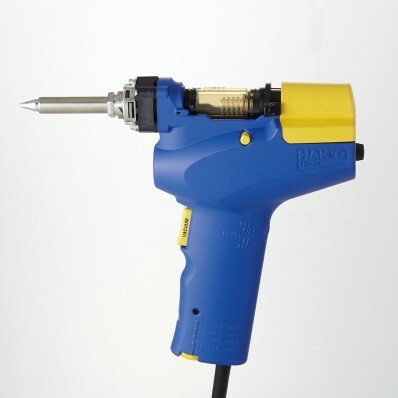 Its quick-change nozzle system uses Hakko’s versatile N61 nozzle series tips. Note: Let the tool cool down completely before storing it in the carrying case to prevent risk of burn/melting the carrying case. 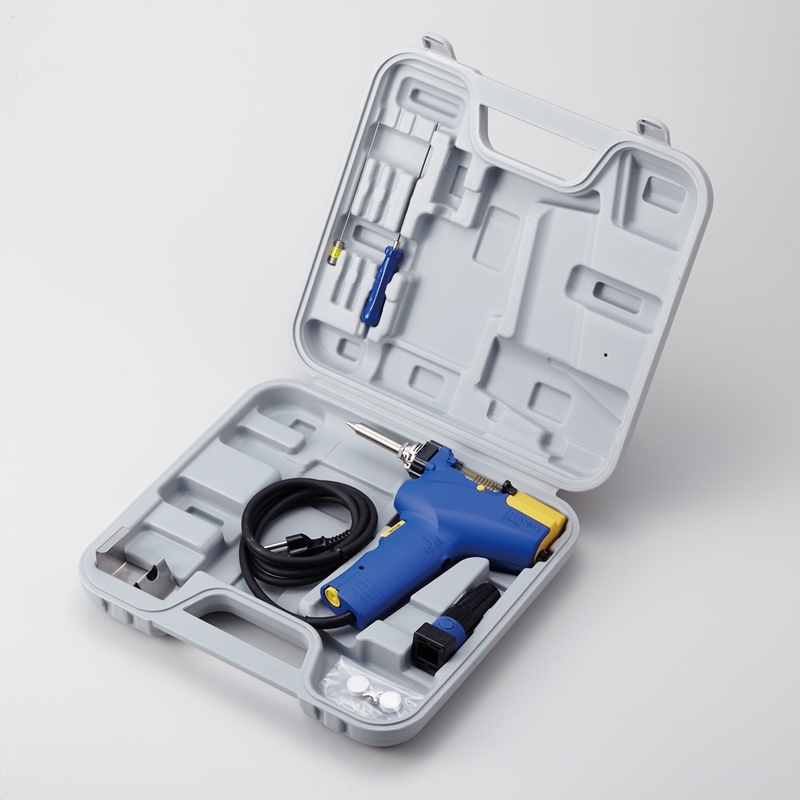 888-001 Cleaning Drill Heavy duty cleaning drill for the FR-4101/4102/4001/301/300/FM-2024,808. 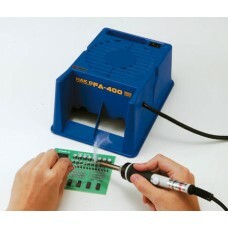 B5231 FR-301 Positioning Jig Nozzle Positioning Jig for the FR-301 Portable Desoldering Tool. 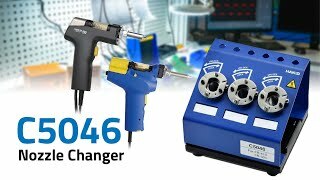 FR-410/301 Nozzle Quick Changer, C5046 Easily change your FR-410 or FR-301 nozzles with just a twist on the Nozzle Quick Changer. B5193, FR-301 Nozzle Enclosure Nozzle enclosure for the FR-301 Desoldering Tool. 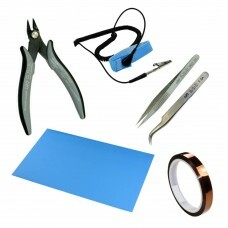 B5194, FR-301/4101 Filter Pipe Filter pipe for the FR-301 and FR-4101 desoldering tools.